End-Of-Life: Should You Replace, Retire, or Secure Your Microsoft Apps? It’s practically an End of Life (EOL) avalanche heading for organizations that are running a lot of older Microsoft software. 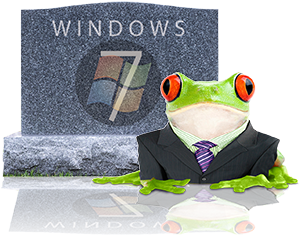 Not only will Microsoft stop supporting Windows 7 on January 14, 2020, but it will also no longer support Windows Server 2008 (and 2008 R2), Exchange 2010, or Sharepoint 2010. Support for SQL Server 2008 ends even sooner on July 9, 2019. Continuing to run unpatched apps makes your entire IT system vulnerable — it opens your organization up to malware, targeted attacks, compliance issues, and other risks. Keeping your server operating system (OS) and key business apps up-to-date and secure is arguably more important than keeping your computer OS current. Your servers are usually more important to the business overall. A fourth option is a hybrid solution that both replaces and retires software based on the functions the app performs. For example, it may make sense to peel off and retire some app functions that can be performed well (and possibly better and/or with cost savings) in the cloud while continuing to run other functions on premises. This may be the best solution if you’re running legacy apps or must comply with government regulations. You can also use a hybrid solution temporarily by running a new version of the software while simultaneously and incrementally migrating to the cloud. This may be best for companies that have a lot of work to do before migrating to the cloud. Software maintenance through Microsoft Software Assurance (below) can be especially useful if you choose to replace the software or go with a hybrid solution. Step one is to identify which software you’re running on which devices and the business purposes of each. Organizations that don’t have a codified lifecycle management process may not have this information readily available. You can review the Microsoft product lifecycle site to verify specific information for any Microsoft software, and view the service pack lifecycle policy here. Analyze your replace, retire, or secure options for each product approaching EOL. Look at the generally available software, cloud options, costs, and work hours required to execute each — it can take some time to get pricing and do your analysis. So if you haven’t begun to do this, it’s time to get going. You need to have your execution plan in place to budget for it in 2019. January 2020 will be here faster than you think. This 10-year-old server OS has been a solid favorite for many organizations. The current generally available software is Server 2016, which offers improved performance, efficiency, and security over older versions. Replace: Migrate to Windows Server 2016 – an OS that is Leapfrog tested and approved. Windows Server 2019 Preview is available now, but it has not yet been fully tested and may not meet the bar for a recommendation. Microsoft has published a three-part blog on Server 2019. Retire: If you’re ready to move to the cloud, migrate your Server 2008 and 2008 R2 workloads to Microsoft Azure Virtual Machines. Microsoft is offering three years of Extended Security Updates at no charge when you do. Secure: Buy three years of Extended Security Updates for your on-premises servers running Server 2008 or 2008 R2 and continue protection for up to three years. Organizations have relied on this email platform since 1996 — it’s improved and expanded to include scheduling, voice, messaging, mobile, and collaboration. These features are now also available in cloud-based Office 365. 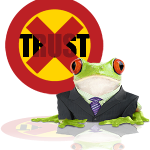 Replace: Migrate to Leapfrog-approved Exchange 2016, the generally available software. A preview version of Windows Exchange 2019 Preview was released this summer but hasn’t been fully tested. Retire: Microsoft recommends moving to Office 365. Leapfrog agrees this is a good idea if you don’t have a lot of employees. If you do, the per-user license could get pricey. It may make more sense to keep Exchange on-premises and pay about $20 per user annually rather than $8 per user monthly. See the Microsoft ROI calculator to find your organization’s sweet spot. This browser-based collaboration and document management app is available on-premises or via Azure. You can also create a hybrid version. Replace: Choose SharePoint Server 2016, the generally available software, if you want to keep it on-premises. SharePoint Server 2019 Preview was released this summer, so it’s still too new. You will need to upgrade to SharePoint Server 2013 first since this software follows a serial upgrade path. Retire: Migrate to SharePoint Online, which is part of Microsoft Office 365. This will require planning time upfront for reorganizing your data. The EOL date for SQL Server 2008 is sooner than the others — July 9, 2019. Since this relational database management system runs on top of your server OS and supports many different services and apps, you may not be aware of all the places you’re using it. Replace: Move to SQL Server 2017, the generally available software. SQL Server 2019 was just released last month. Retire: You can rehost your SQL Server 2008 and 2008 R2 with few code changes when you move to Azure. Microsoft includes three years of Extended Security Updates and upgrades at no charge. With the Azure Hybrid, you can use your existing licenses to help reduce costs. This Microsoft SQL Server comparison chart will help you decide. Secure: If your SQL Server is running an old, proprietary system that can’t be updated, you will need to make substantial efforts to secure it, including keeping it contained/quarantined to protect the rest of your system. For volume licensing products including the EOL products listed above, Microsoft offers its Software Assurance maintenance program that includes free software upgrades. For a term of either two or three years, your organization will have new version rights, which can give you peace of mind when migrating. Software Assurance includes a lot of other benefits, such as Office Suites for home use, multi-language packs, and roaming rights. Unlike software licenses, Software Assurance plans do expire but can be renewed. Moving from the on-premises model to the cloud subscription model is one of the most important discussions to have with your team. Does it make sense to continue to own, run and maintain your own servers? How much staff time and budget goes into keeping up with security issues, managing upgrades, maintaining proper room temperatures and other responsibilities that go along with owning physical devices? But moving to the cloud isn’t a no-brainer either — it may take a lot of brain power and effort to pull it off successfully, not to mention work hours. Sometimes it’s not possible to move proprietary or legacy apps to the cloud, or government regulations may require you to keep some of the workloads on premises. Other good reasons for keeping your apps on premises include. 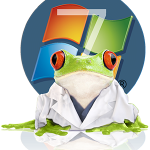 Leapfrog recommends specific operating systems and app versions based on our standards and how we’ve seen them perform. Our GA versions may not be the same as the market’s GA versions. 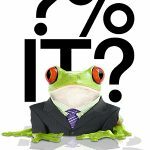 Leapfrog reviews our recommendations every 90 days to see if we should update them. We rarely install a new OS within the first six months of release. Instead, we wait until our app partners certify that their software runs on the new OS, which usually takes three to six months. We have a similar process for new app versions. So while there may be a more recent GA on the market, it doesn’t mean that’s the version we recommend. In fact, we may never recommend that version if it doesn’t meet our standards. Leapfrog recommends you follow a thoughtful, planned EOL migration rationale-based on careful? evaluation of your options and the understanding that you can’t do everything at once. It takes time to do the work and make the transition. The more OS and apps you need to update, the more complex the process and the longer? you can expect it to take. Your best bet is to budget for it now, complete the work in 2019, and not try to game the system by squeezing every last minute out of an OS or app before support ends. Leapfrog has been helping clients manage their software and transition to newer or better solutions since our inception. We offer a hands-on approach when it comes to preparing IT budgets for the next year if our clients want it, and part of our standard managed IT services includes a detailed IT roadmap based on your organization’s business goals. We are here to help you navigate and manage all things IT, including the challenging issues of software that has reached its end of life.